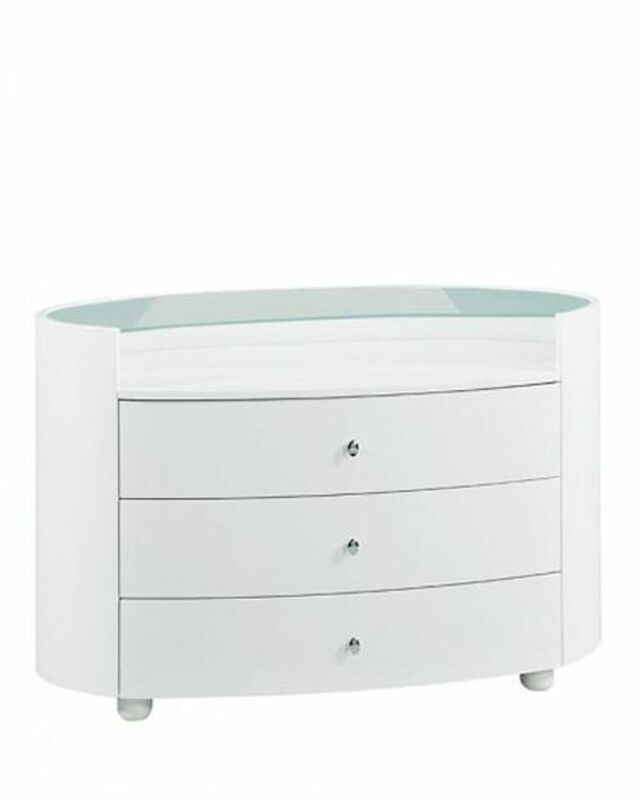 The Dresser features contemporary oval shape and high gloss finish. This unique design will not only captivate but also seek compliments. Scrupulously crafted from wood veneer bring you a wonderful piece of furniture. Comes in high gloss white, cherry or wenge finish with brushed metallic door pulls. 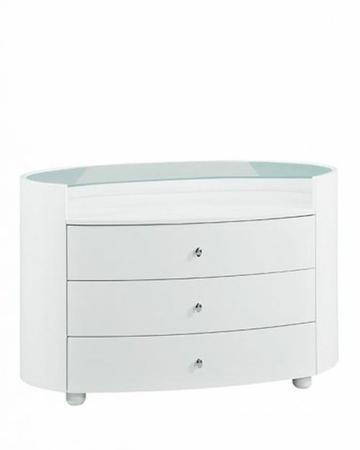 The six spacious drawers give you plenty of space to organize your clothes. The top is made of clear durable glass that adds extraordinary look to the piece.